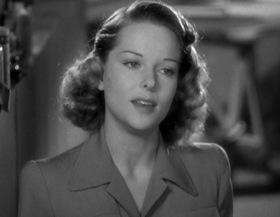 Jane Randolph, star of Cat People, Curse of the Cat People, and Abbott and Costello Meet Frankenstein, died on May 4, 2009 in Gstaad, Switzerland, of complications from a broken hip, according to The Hollywood Reporter. She was 93 years old. In the two Cat People films, she played Alice, the love interest and eventual wife of Kent Smith's Ollie Reed. In Abbott and Costello Meet Frankenstein, she was insurance investigator Joan Raymond, determined to find out how the Dracula and Frankenstein exhibits could have simply walked out of a wax museum. Randolph also appeared in several crime films in the 1940s, including two Falcon films (with Tom Conway) and the film-noir Railroaded!